BACAS is going to search for Ralph Allen’s Monument, built 1764 by Bishop Warburton following Allen’s death. We also hope to see evidence of a 16th century, or even earlier, gothic building with tower known as the Lodge that was already standing on the site and which seems to have formed part of the later monument. 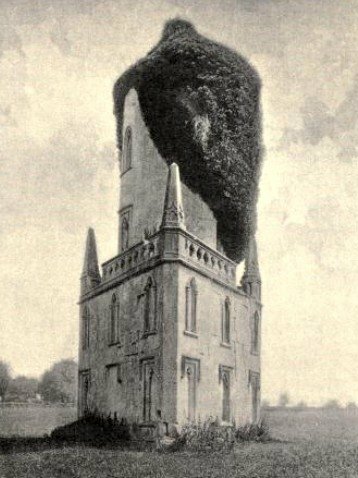 By the late 19th century the tower was in a ruinous and dangerous condition and was finally demolished in 1953. In addition, we will also be looking for any remains of the Wansdyke, dug circa 6th century, which is thought to have run across the field. We are looking for members who would like to take part in this geophysics project in Monument Field at Prior Park on one or more days from Monday 29 October to Thursday 1 November. Beginners are welcome. We will be doing a resistance survey across a part of the field with assistance from some National Trust volunteers, profiles across the Wansdyke, and also hope to do a mag survey. Volunteers are requested for any of the 4 days; 29,30,31 October and 1 November. Timing will be from 9.30am to mid afternoon on each day unless bad weather is forecast. Parking should be available by the field in Prior Park College. If you would like to help please email office@bacas.org.uk stating which dates you are available.